Rats and mice are everywhere. They may appear in your garden, shed, garage or worst of all for you, in your house. As rodents they can cause damage by chewing and can spread a variety of serious diseases through their droppings and urine. Given the right habitat and a source of food they will breed all year round producing many offspring. Signs of infestation include actually sighting the animal, seeing droppings, seeing evidence of gnawing or burrowing, or hearing them moving about – often in a loft space. 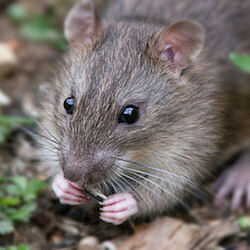 The most important factor in rodenticide control of these pests is that they keep taking the bait until it has the desired effect. Some people put down a tray of something they bought from their local DIY shop and leave it at that. The problem is that this gets eaten but not replenished so the pest doesn’t get the dosage required to finish the job. Blackwood Pest Control will keep replenishing these baits as required until they are no longer taken thereby ensuring that your infestation is over. 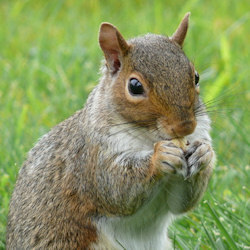 Grey squirrels can be a problem in one of two ways. They can cause excessive damage in lofts where they can chew their way in damaging fascias and their continued gnawing once in residence includes things like electricity cables thereby posing a potential risk of fire to your property. They can also damage bird feeders and trees and shrubs outside in the garden.